AWS is the cloud computing services provider with more than 90 different services provided to individual, private sector, education, and government users. The company offers services including compute, storage, networking, database, analytics, mobile, developer tools, management tools and enterprise applications. Cloud computing has since become a global trend among companies of all sizes across various industries and has gained much ground in the Philippines. By using a variety of cloud solutions, customers can benefit from cost savings without making tremendously large investments in terms of hardware. Through cloud, they can simply manage the right type and size of computing resources they actually need, whether for a new project or when operating their own IT departments. Users can easily access as many resources as possible in an instant by using the cloud, and they would only have to pay for the resources they actually used. Valueline Systems and Solutions Corporation is one of the early adopters when it comes to offering cloud solutions and services in the country, moving from selling hardware and peripherals to offering a broad spectrum of solutions. Through cloud computing, Valueline was able to help many businesses transform their IT practices for the past years, with one of the leading pharmaceutical companies in Asia and a prominent state university in the Philippines among its most valued clients. Valueline, through its subsidiary VBusiness Software and Solutions, Inc., established its very own cloud server called “Kube Cloud Solution,” proudly developed locally through VBusiness’ talented team of developers powered by AWS. Kube Cloud Solution provides seamless access to servers, databases, storage, application and even data centers over the Internet. This virtual computing environment can quickly scale the capacity the client needs, making the system up and running in as fast as only a few minutes. The solution also allows clients to pay only for the actual computing resources that they will consume instead of investing heavily on expensive data centers and servers. Kube Cloud Solution is highly available, is already compliant with several global security standards and internationally recognized data privacy protocols and more importantly, it is fast and reliable with 99.99% guaranteed level of availability under the Service Level Agreement, and backed up with ample local support. VBusiness also offers a host of other solutions that include VBroadCast Cloud, EXSA Cloud CRM, CARE Information System and Web and Email hosting. “At Valueline, we take information security very seriously by developing our own comprehensive set of practices, technologies and policies to help ensure that client’s data is highly secured. We can offer better level of security features for client’s systems compared to what they have in place right now through mechanisms and other processes that will make sure the data is protected any time, all the time,” declares Jun Santos, President of Valueline Systems and Solutions Corporation. He said Valueline’s security practices are grouped in four (4) different areas such as Physical Security, Network Security, People Processes and Redundancy and Business Continuity. “We make sure that our solutions are built using high-quality standards in order to help clients meet their growing needs with regard to information technology, and at the same time help them reduce cost yet increase their revenue. I hope that with our proven track record in the successful delivery of solutions to our clients from various industries and even in government using industry best practices, we will be able to help other potential clients start their journey in going into cloud solutions through Valueline,” adds Santos. 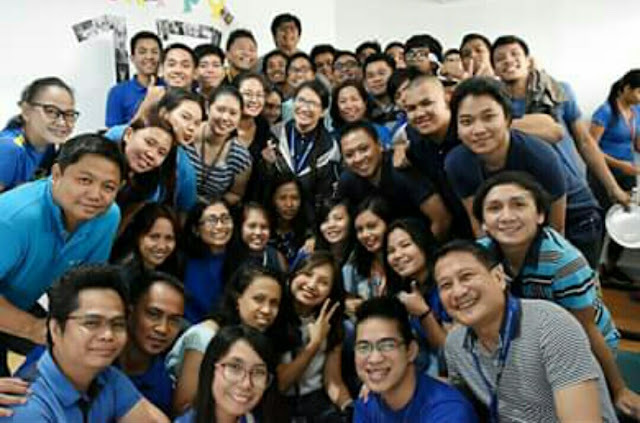 Valueline Systems and Solutions Corporation is headquartered at the 2nd Floor of J&L Building, 23 Matalino Street, Brgy. Central District, Diliman, Quezon City. You can call (+632) 925-2938 or (+632)925-7623, (+632)925-2174 (fax), or visit www.valueline.com.ph.